Orchard Hill Residents - lock up your hearts! Pansy Parker and Misty Green are rivals in romance. Each believes she is the town's best matchmaker. Now, they're going to settle the question for once and for all. They're keeping track to see who can make the most matches in a year's time. No heart is safe in Orchard Hill - not even their own. Shy Joy Harper, the organist for Orchard Hill Community Church, has long been overlooked by Pastor Isaac. Then Pansy Parker announces she's retiring and Joy is asked to fill in as secretary. With an unusually large number of weddings coming up and the Christmas holidays looming, Joy and Isaac put in a lot of hours together and he discovers a beautiful and caring woman beneath Joy's reserved fa?ade. 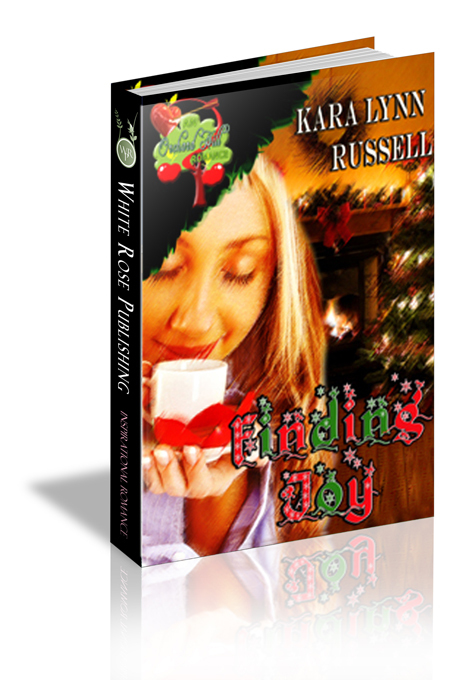 Can he convince her that the only gift he wants for Christmas is her heart? “Are you sure this is going to work?” asked Misty. Misty stared at her in disbelief. She opened her mouth, then, obviously thinking better of it, closed it again. That cheered Misty—and even Pansy looked happier. They laughed. It was a bit difficult to believe that they’d spent so many years trying to outdo each other as the town’s matchmakers only to end up as family twice over. Misty’s future husband had taken a new job in a different part of the state, and Pansy was moving to her future husband’s retirement home in Florida. There was a reason Pastor Isaac had gotten so good at avoiding matchmaker’s traps. “But can she act?” asked Misty. “All right, all right. It’s not like the temptress from the Bible story is the only person who’s ever had that name,” grumbled Misty. “Besides, she is sort of playing the part. The women giggled at the thought. “Of course.” Pansy had been the church secretary for more years than Misty cared to remember, and she knew it would be hard for Pansy not to come back, but a woman in her seventies had a right to retire. “I really think it’s too much for you to take on and still work.” Misty smiled slyly.